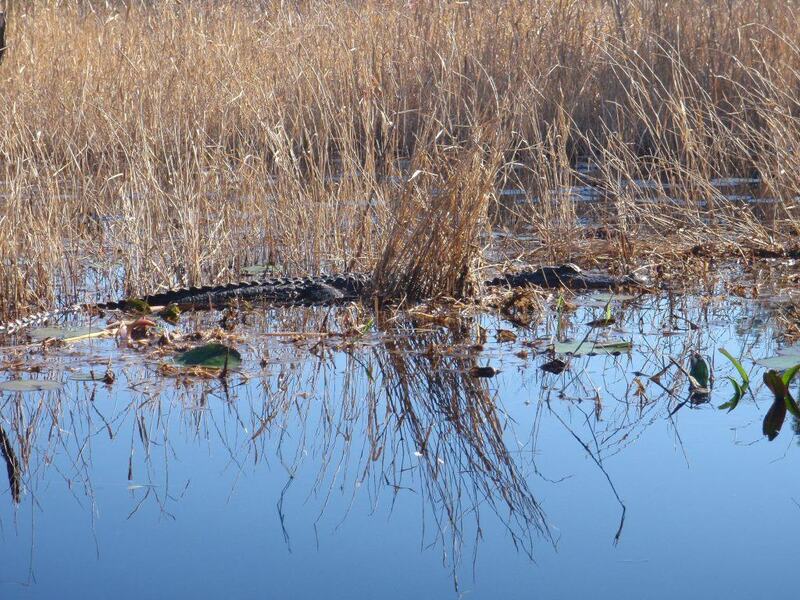 While it is unlikely you will run into Okefenokee Joe, it is very likely that you will see several alligators. It may be unnerving to float by in a canoe not much bigger than some of these giants, but they are studiedly indifferent to your presence, especially if you are there in early spring when they are just emerging from their semi-hibernation. 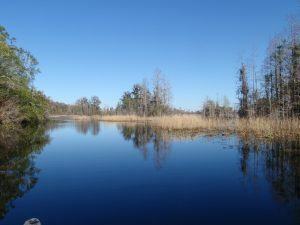 With over 700 square miles of swampland and three separate entrances to the National Wildlife Refuge there are a lot of options for where to go and what to do. In a throwback to frontier days when waterways were the cheapest, quickest way to traverse the land, I would recommend making your trip here via canoe, despite the existence of some trails. The East Entrance at the Suwanee Canal Recreation Area is a nice spot to enter as the main park headquarters is here to pay fees and has a nice interpretive center. If you would prefer, you can also catch a guided boat tour from here. Plan your route carefully. This is one of those places where it is in your best interest to camp at the campsites because a lot of the ground you see is not actually ground but rather layered vegetation. There is something magical about gliding through these quiet waters, cypress trees watching impassively, alligators sliding by, herons and egrets staring piercingly. 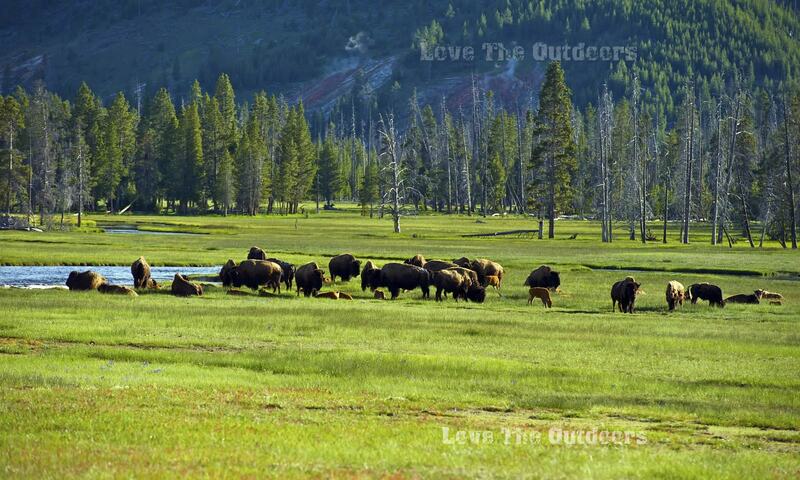 In early spring this can be a pleasant trip with some beautiful foliage just coming out. 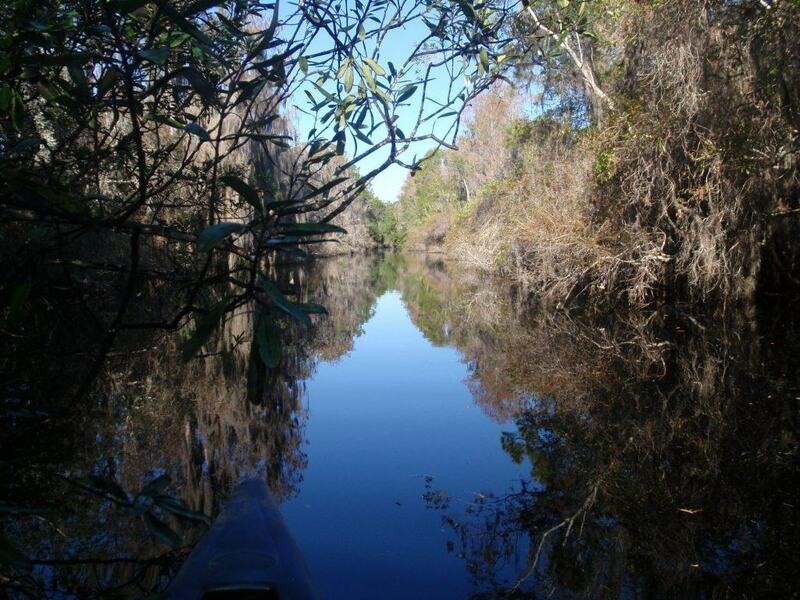 If you are feeling truly adventurous, try some swamp water—Okefenokee Joe will be duly impressed at your swampwise.